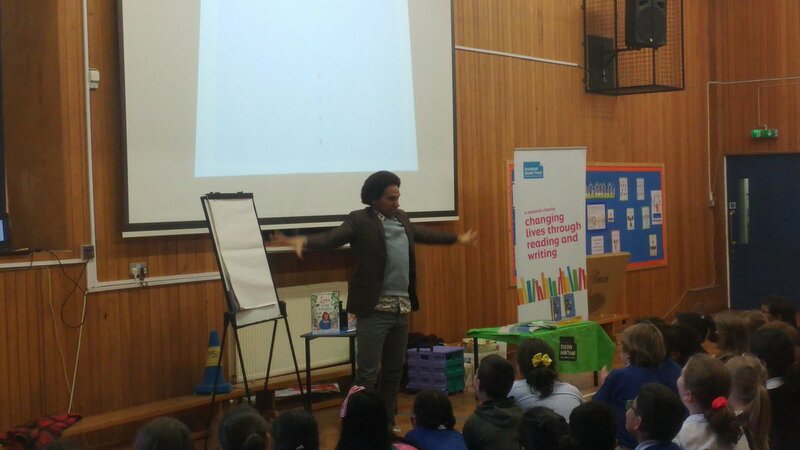 On Thursday Joseph Coelho visited Dalry Primary school with the support of The Scottish Book Trust . Joseph is a leading children’s and performance poet and was here to educate, entertain and enthral. He did all three in good measure, introducing our P4-P7 classes to metaphor, onomatopoeia, rhyme, emotion, rhythm, aliteration, personification and simile. He did so in a way that left big grins and excitement all round along with the ability to use a wider range of poetic tools. If your child is interested in learning more about Joseph and seeing more of his performances use the links below. Thanks for the visit Joseph Coelho and thank you to the Scottish Book Trust for supporting and providing it. This entry was posted in Events, News, Primary 4, Primary 5, Primary 5/4, Primary 6, Primary 7a 2017-18, Primary 7b on Feb 23, 2018 by Dalry Primary Edinburgh.